Include visual posts in your custom dashboards, and tag companies more quickly and easily. 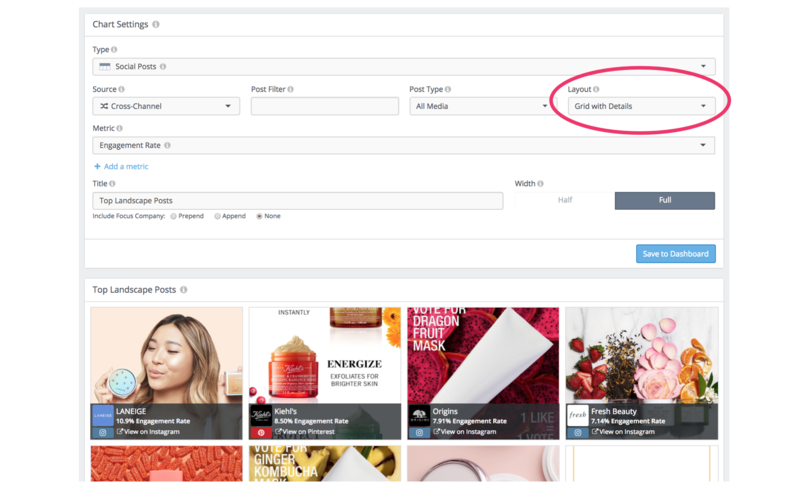 With this release, we added the ability to view your Custom Dashboard social posts in list, grid, and mosaic mode, we eased the company tagging process, and we improved the usability of the side bar. Post Grids in Custom Dashboards: Previously visual posts were only available in the social posts section. Now, you can include a grid of posts in any custom dashboard! 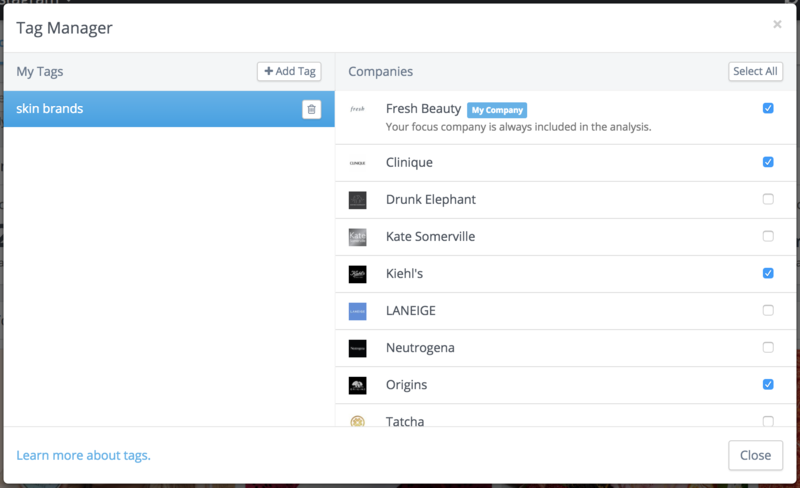 New Tag Manager: Tagging companies helps you filter which companies you include in an analysis. We made it easier to create more tags and faster to select all the companies you want associated with a tag. You can also access the Tag Manager from any where tags can be applied! Duplicating Landscapes: If you want to modify any existing landscape in your account, you can use the duplicating feature to simplify your process.